Our credit counseling and debt consolidation services can help you gain control of your financial situation. We are a nonprofit credit counseling organization committed to educating consumers on financial issues and providing personal assistance to consumers who have become overextended with debt. Our certified credit counselors provide personal assistance through free budget counseling, housing counseling and debt management plans to lower credit card interest rates and monthly payments. Pay off your unsecured debt with affordable monthly payments! Debt Management Plans (DMP) Our DMP program can provide you a repayment plan that you can afford for your credit cards, medical debts, collection accounts and other unsecured debts. 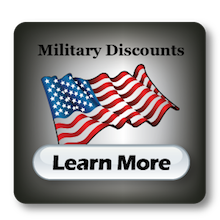 It is designed to eliminate or reduce high interest rates, consolidate your debt payments, eliminate over-limit charges and late fees, stop collection calls and payoff your accounts within 5 years or less. Payday Loan Assistance DMCC can get you an affordable repayment plan for your payday loans; PLUS, if you are a Florida resident, a 60 day deferment. Student Loan Assistance DMCC counselors will determine your available options and help you get a forbearance, consolidation or an affordable repayment plan for your federal student loans. Credit Score Analysis Get a written report that shows you specific actions you can take to increase your credit scores. Free Annual Credit Reports Watch our video to learn what information your credit reports contain and follow the steps provided to obtain your free annual credit reports from the three major credit bureaus. Mortgage Programs All your home buying needs in one place. DMCC provides individual mortgage readiness counseling, credit report review, assistance in preparing and submitting your loan application, and access to a loan shopping tool. We help during the home search, making an offer and closing process. We have access to affordable and flexible home loans, and special government financing resources that boost buying power and offer affordable payments. Foreclosure Prevention and Loan Modifications As a HUD Approved Housing Counseling Agency, DMCC will help you identify the best solution to avoid foreclosure while meeting your personal goals; PLUS, if you are a Florida homeowner, we will prepare your loan modification documents for free. Home Buying Education Learn about the ins and outs of buying a home and, if you are a South Florida resident, obtain the education required for many financial assistance programs. Reverse Mortgage Counseling If you are 62 or older, learn about the loan that pays you and get the required counseling certificate. Student Loan Counseling DMCC counselors will help you identify the options available for the repayment of your federal student loans. Bankruptcy Counseling and Education DMCC can provide you the counseling and educational certificates required to file bankruptcy and have your debts discharged. Budget Counseling Speak to a certified credit counselor for a free budget analysis, including recommendations to reduce your spending and repay your debts. DMCC provides free education at its online site DMCC University. You can learn everything from creating a balanced budget, understanding and improving your credit, purchasing a home or developing a plan for a successful financial future. You can read from an extensive library of financial articles, watch educational videos, take an educational course online, sign up for our newsletter or use our educational tools and trusted resources to improve your financial health. We also provide free educational seminars for the state of Florida and New York. 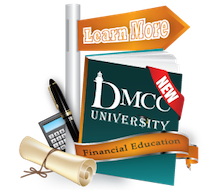 DMCC University is committed to equip you with the most complete education regarding all areas of your personal finances. To learn more about what DMCC University offers and how you and your community will benefit, click HERE. To view scheduled DMCC events, click HERE.